I had to make the decision not to do my Thrifty Thursdays anymore. I would like to post my sharing time ideas on Thursdays and it is too hard to get both posts in. A lot of my crafts I do I think are considered thrifty, so I will still be posting them on Wednesdays. September 2013 Week 2 Sharing Time: Prophets and Apostles Show us How to Serve. Here is a Link to "Follow the Prophet". On the back of the picture put a blank piece of paper. Different colors of paper would be fun. 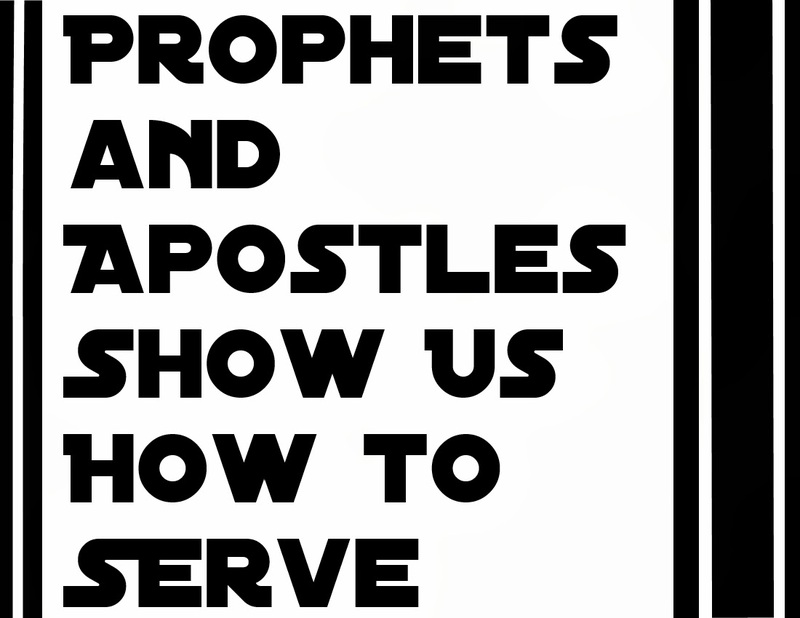 Place on the board "Prophets and Apostles Show us How to Serve" you can use the free printable or write it with chalk. Place each picture on the board so the side with the picture can't be seen. Choose one of the primary children to come and pick a picture off the board. See if any of the children know who the prophet is in the picture. If no one knows tell them. Then have the primary children sing the verse of "Follow the Prophet", that correlates with that prophet. Read the scripture that goes with that prophet and ask the children how the prophet has shown us how to serve. Then have another primary child come up and pick another picture. Repeating the above steps. Until all pictures are uncovered. Explain that Heavenly Father has given us prophets to help guide us to do things that will lead us back to him. One of those things is to serve others. We have had and currently have wonderful prophets that have been amazing examples of service to us. In closing bear your testimony on following the prophets example and provide service.